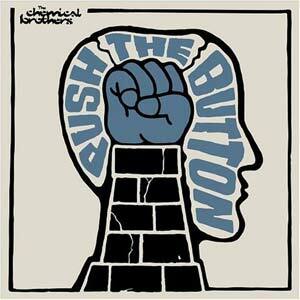 The Chemical Brothers: Push The Button::. . :::.:.. : :. ::.:.. ::: ::. . :::..: ::.:..:.:.. ::: ::. . ::. . :::..: ::.:..:.:..:::.:.. ::: ::. . ::. .::.:...:::. :.::.:..:.:.. ::: ::. . ::. . :::..: ::.:..:.:..:::.:..:::. . ::. . :::... . ::. . :::..::. . :::.:.. : :. ::.:.. ::: ::. . :::..: ). Awesome vocals and awesome breaks that are just a delight to the beat head. I can't tell you how much I love Believe! It provides a great transition to the best song on the album Hold Tight London. This song follows in the steps of songs like Star Guitar and The Private Psychedelic Reel songs that could just keep going on and on forever and I wouldn't complain. This is the acid trip of the album. Come Inside keeps the album going with strong beats and that lovely cowbell that Tom and Ed always call upon. Great vocals and bizarre break down in the middle that is something straight out of KILL BILL. Now this is where the brothers start to loose me. The Big Jump probably could have been left off this album. It's 4 minutes that I usually skip over when I listen to the CD. The song that puzzles me the most is LEFT RIGHT which in my opinion could have been "Left Right" off of this CD. Rapper Anwar Superstar provides some good lyrics, but this is not what I want to hear on a Chemical Brothers album. Yeah everyone hates George W. Bush, but it's been done and the approach on this song is backwards. The Brothers should have been featured on Anwar's album and not him on theirs. Close Your Eyes really should have come a little further in the CD because it's lost in the middle and really a beautiful song that is worth a listen. Nothing fancy it builds and builds and ends really soft. Shake Break Bounce ... I swear this song must have been stolen from the Basement Jaxx... It has their Latin Jazz Funk style all over it. Initially I didn't like Marvo Ging but it has really grown on me in the last week. The chimes in this song are really what makes it. OK... Now as everyone knows that the Brothers are known for "Dust" inspired songs and Surface to Air is probably their best non-acid induced trip yet. This song just kills it at the end. Filled with the usual signature ringing noises that overlay most of the Brothers songs. I can honestly say that the 7+ minutes that this song runs is not enough. This song just ends too abruptly like they ran out of tape at the end. I'm not sure if that was done on purpose with a title like Surface to Air being the instant entry from one world to another? I actually thought that my discman's batteries were dead at the end of this song and really felt ripped off to find out that it was just the way the song ended and actually cried out loud "what a rip!" ... Very disappointing end to an unbelievable song. After 2 years I would hope for more than 60 minutes from two extremely talented men. I'm glad that their albums all are different and that Tom and Ed try new things. They can always be counted on for some surprises and for songs that make you want fly. Despite the upsetting end to Surface to Air I still feel this was $17 well spent. Push The Button, The Brothers fifth full length album is my least favorite but still is musically stunning. The album starts off great with the collaboration with Tribe Called Quest front man Q-tip on GALVANIZE . What can you say between the strange string music and the drums they have one of the most catchy vocal tracks they have ever produced. The lyrics that inspired this album's title will be stuck in your head for days. The Boxer features Tim Burgess of the Charlatans who provided the vocals for their epic Life is Sweet (pointless side note - Life is Sweet is my current ringtone ). Awesome vocals and awesome breaks that are just a delight to the beat head. I can't tell you how much I love Believe! It provides a great transition to the best song on the album Hold Tight London. This song follows in the steps of songs like Star Guitar and The Private Psychedelic Reel songs that could just keep going on and on forever and I wouldn't complain. This is the acid trip of the album. Come Inside keeps the album going with strong beats and that lovely cowbell that Tom and Ed always call upon. Great vocals and bizarre break down in the middle that is something straight out of KILL BILL. Now this is where the brothers start to loose me. The Big Jump probably could have been left off this album. It's 4 minutes that I usually skip over when I listen to the CD. The song that puzzles me the most is LEFT RIGHT which in my opinion could have been "Left Right" off of this CD. Rapper Anwar Superstar provides some good lyrics, but this is not what I want to hear on a Chemical Brothers album. Yeah everyone hates George W. Bush, but it's been done and the approach on this song is backwards. The Brothers should have been featured on Anwar's album and not him on theirs. Close Your Eyes really should have come a little further in the CD because it's lost in the middle and really a beautiful song that is worth a listen. Nothing fancy it builds and builds and ends really soft. Shake Break Bounce ... I swear this song must have been stolen from the Basement Jaxx... It has their Latin Jazz Funk style all over it. Initially I didn't like Marvo Ging but it has really grown on me in the last week. The chimes in this song are really what makes it. OK... Now as everyone knows that the Brothers are known for "Dust" inspired songs and Surface to Air is probably their best non-acid induced trip yet. This song just kills it at the end. Filled with the usual signature ringing noises that overlay most of the Brothers songs. I can honestly say that the 7+ minutes that this song runs is not enough. This song just ends too abruptly like they ran out of tape at the end. I'm not sure if that was done on purpose with a title like Surface to Air being the instant entry from one world to another? I actually thought that my discman's batteries were dead at the end of this song and really felt ripped off to find out that it was just the way the song ended and actually cried out loud "what a rip!" ... Very disappointing end to an unbelievable song.